When The Golf Club first came out, it was an odd duck. It was a game that focused on a natural swinging interface without a gauge or HUD to help guide your stroke. 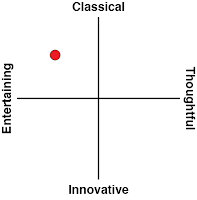 In addition, it offered a great options for playing with your friends asynchronously - which I certainly appreciated given my busy schedule. 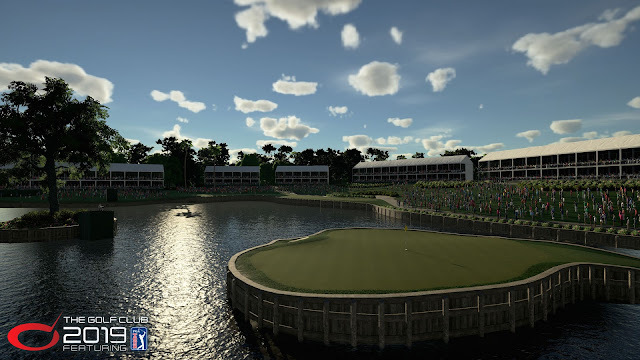 Perhaps the biggest feature that kept people coming back for more was that it offered the ability to craft and play custom courses designed by you or the community. This gave the title some fantastic replay value. Fair or not however, there were some lingering issues upon its initial release. For one, the course editor suffered from a variety of editing issues that eventually got fixed in later patches, but right off of the bat the experience was rough. Kudos to the development team for being transparent about it and having an active discourse with gamers on their forums, and it certainly helped to make the end product a better one. The other massive issue for many people, was that The Golf Club was not an officially licensed game. There is an air of legitimacy around the familiar teams, titles, players, fields and courses in pro sports when they are accurately represented in a video game. I still remember how 2K Sports struggled to keep their football titles alive (despite being as good or better than the Madden series) after Electronic Arts managed to work out a deal with the NFL for licensed exclusivity. 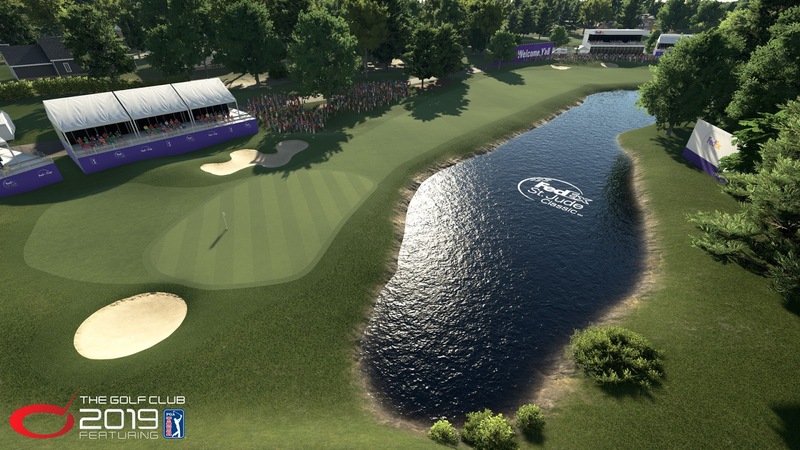 This year the big announcement (considered important enough that it is baked right into the title) is that The Golf Club 2019 featuring PGA Tour has that official license. This licensing only feels like a half-measure when compared against other sports titles, but it is a step in the right direction. You get some of the pageantry that comes with the sport's rich history, but also six actual courses such as Sawgrass and Scottsdale. A popular activity in years past saw the community attempting to recreate these courses, with wildly varying results, but here each of the courses is immediately recognisable, realistic and very good if not great. However, note that the Tour is what is licensed, so for those hoping for a realistic showdown against Tiger Woods or Rory McIlroy will be sorely disappointed as the players are in no way represented here. That is not the worst thing in the world, but it is worth noting that the licensing only hits a halfway point, like how NCAA football titles in the past allowed for realistic stadiums, appropriate fight songs and the right mascots while having a bevy of generic, made-up characters to fill out those rosters. Still, the option to play various tours and earn money used to unlock new items is a fun premise and a great way to spend time with the game. I also liked the various goals to try and achieve - some far easier than others. Meeting those goals help to unlock even more items. I would have enjoyed a bit more variety both in the objectives and the rewards, but the overall system of progression is an effective one nonetheless. Whether you are new to the series or just have not played in a while, I would suggest spending some time with the tutorial. It is a really solid walk-through of the basics and only takes about half an hour or so to teach how to actually play the game. 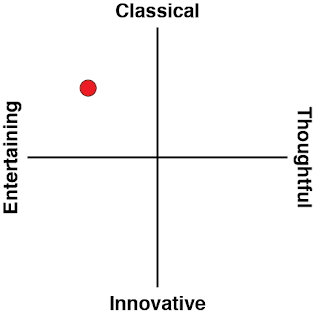 Of course, getting good at the game is an entirely different matter. I have played plenty of other golf games in the past, and one of the most interesting aspects of The Golf Club is the actual act of swinging a club. I know that sounds like a ridiculously basic thing, but the majority of golf games over the years rely on meters and aiming devices that make it a more arcade style of gameplay. 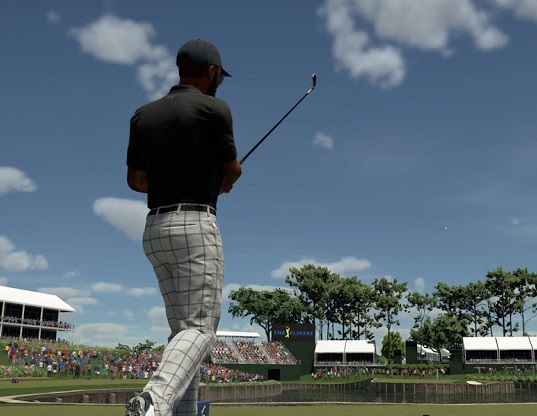 However, The Golf Club 2019 featuring PGA Tour brings back the same, much more realistic set of mechanics found in the earlier games in the series. You make adjustments to where and how you are hitting the ball in advance, and you do your best to aim your character and then time a backwards swing before bringing the club back down. Instead of staring at a bar that increases and decreases, you learn the animation of your character and how to time your power and accuracy. The Golf Club is definitely the best simulation golf title available currently. Character models have always been a mixed bag in this series, but this year's iteration is the best yet. There are some parts of the character creation series that work better than others Faces and overall body animations look great, even though I wish there was really more variety in the clothing and unlockable items. Thankfully the visuals around the courses themselves are fantastic. My personal favourites are when you see the shimmering sparkle on top of the water while the sun is dipping down behind some landscape in the distance. There are some beautiful landscapes that are rather relaxing to view, even if some of that relaxation might be lost to a bad swing here and there. Now the actual golf physics are mostly really good. When there is a stiff breeze or you land in a bunker, the ball reacts mostly how you would expect. Even more unpredictable elements, like what angle the ball might come off of a hit tree trunk or limb seem completely reasonable. The one area that it feels like The Golf Club 2019 featuring PGA Tour is potentially a bit off is the speed on the greens. It is not bad, but there have been times I put a good deal of backspin on a shot and expected it to stick to the green better than it did. That is reality, some courses run dry and hard and others wet and softer and that obviously plays a factor. This is my only quibble with the physics and it is relatively minor, but it just seems too speed-forward on certain chips and approaches than it should be. The toolset for creating and editing courses has not really changed much from what I remember, which is probably both a good and a bad thing. It is easy to pick the controller up and start rolling out a new course, though it is still a lengthy process to create one of any quality. There are some options for streamlining the efforts that can help, but for those who truly want to create an excellent, balanced and breathtaking course of their own, you will be sinking some serious hours into making your vision a reality. The Golf Club 2019 featuring PGA Tour has taken a few nice steps forward, specifically where the licensing is concerned. 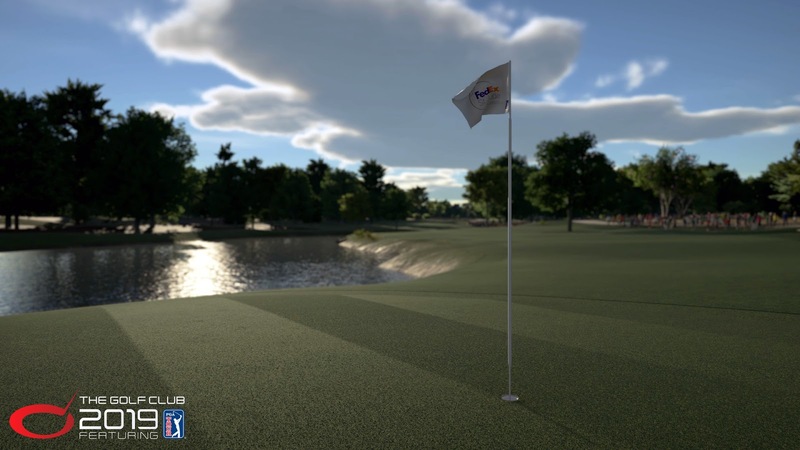 It is still the most realistic golfing game on the market, and there are times that can prove somewhat frustrating but ultimately very rewarding as well. HG Studios deserves credit for maintaining the aspects of the game that worked well while expanding on the core formula enough to make this entry worthwhile to newcomers and veteran players alike.